Our first panel is with Art Collector, Consultant, and DC-based Lawyer Schwanda Rountree and Baltimore-based artist Mequitta Ahuja, a Guggenheim recipient whose work is in Rountree’s collection. 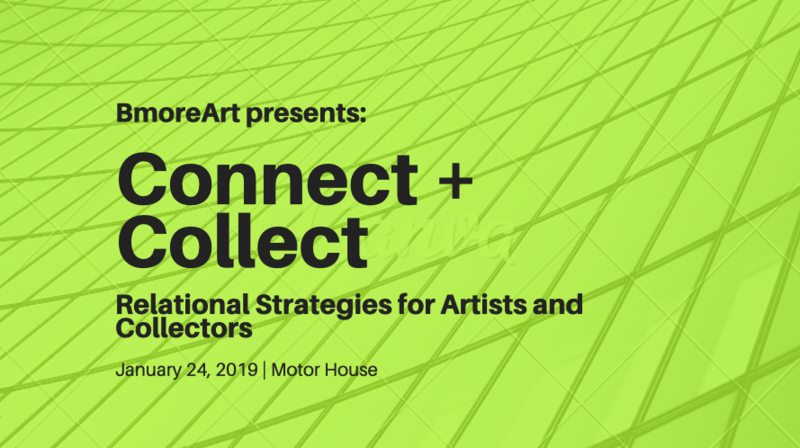 Topics to be discussed include how and why to start collecting art, how to conduct a studio visit, and best practices for building ethical, respectful, productive relationships between artists and patrons. Maryland Art Place (MAP) and Area 405 are pleased to present Beyond Beautiful: One Thousand Love Letters in partnership with Bruun Studios. The exhibition will open January 17th, 2019, at 5:30 in the evening at 218 West Saratoga Street, located in downtown Baltimore. Beyond Beautiful will be on display through March 10, 2019. A project of artist and curator Peter Bruun, Beyond Beautiful: One Thousand Love Letters marvels at love in all its poignant mystery, surprise, and messiness. Anchored by hundreds of drawings by Bruun inspired by actual love letters, the two-site exhibition is organized around eight themes and features events for each, offering heart-opening performances, inspirational stories, communal sharing, and artistic uplift. 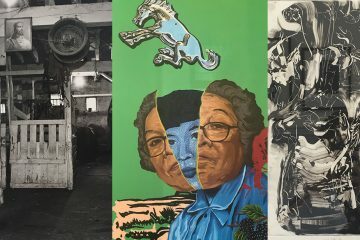 The exhibition includes art by Atsuko Chirikjian, Loring Cornish, Pat Dennis, Phylicia Ghee, Ken Royster, Ernest Shaw, Piper Shepard, and Exsul Van Helden. MAP’s main gallery lends itself to the display of hundreds of drawings organized around four of Beyond Beautiful: One Thousand Love Letter‘s eight themes: “Forever Family,” “Cupid’s Arrow,” “Wild Horses,” and “Love Thy Self.” Four exhibition programs will take place at Maryland Art Place featuring performances such as poetry, music, and storytelling. Featured performers at these events include George Spicka, Abu the Flutemaker, Navasha Daya, Betsey Hobelmann, David Fukunle, Simone Speed, Ken Royster, QueenEarth, Kirk Wulf, ellen cherry, Phylicia Ghee, and more. 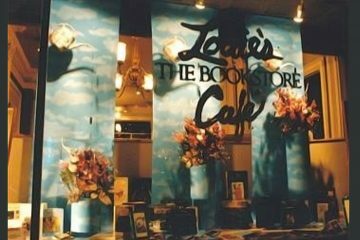 Beyond Beautiful: One Thousand Love Letters is sponsored by Baltimore Magazine. 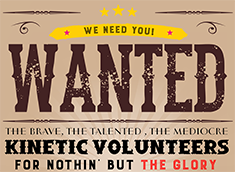 For more information about Beyond Beautiful, visit http://www.onethousandloveletters.com. C. Grimaldis Gallery is pleased to present an exhibition of new works on paper by Raoul Middleman. With renewed inspiration and unrestrained expression, the works on view bring together the artist’s lifelong passions and closest subjects: Baltimore, burlesque and horses. 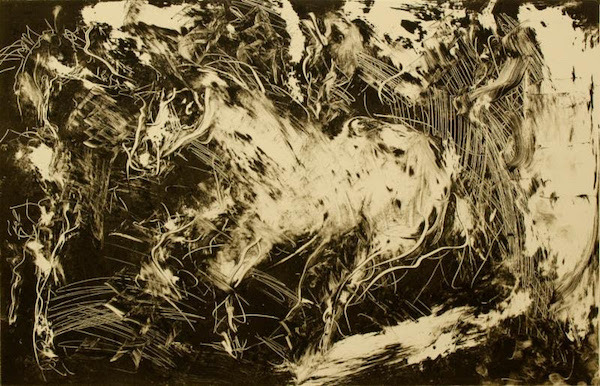 In a suite of monoprints, Middleman works quickly and directly on the inked plate by wiping and scratching away the black ground, recalling with ease and a decisive hand the horse’s gait or dancer’s heels. There is an undeniable magnetism to these works of memory. The mark-making is wild and tumultuous, containing an almost frantic rhythm of gestures. And yet with remarkable clarity, they can distill the presence of a horse turning at the curve of the racetrack. From the elevated perspective of his new 19thfloor studio, Middleman continues to observe the changing cityscape in watercolor. In page after page, the crooked horizons shift with each mood and hour, as though one can see the moment inspiration strikes. Born in Baltimore, Raoul Middleman studied at Johns Hopkins University, Pennsylvania Academy of Fine Arts and the Brooklyn Museum Art School. He was president of the National Academy of Design in New York from 1998 to 2001, and has taught at the Maryland Institute College of Art since 1961. His work is in the collections of the Metropolitan Museum of Art, New York; Brooklyn Museum, New York; National Gallery of Art, D.C.; Museum of Modern Art, New York; Baltimore Museum of Art, Maryland; and the National Academy of Design, New York. The documentary film MIDDLEMAN, produced by Mad Queen Productions, will premiere in 2020. 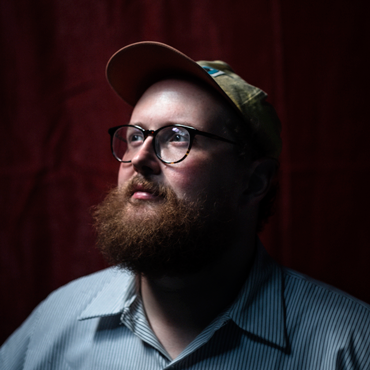 Baltimore musician Dan Deacon is a singular artist who defies all genres and knows no bounds. Catch this one-night-only chance to experience this immersive electronic-acoustic collaboration, including the world premiere of several new compositions. 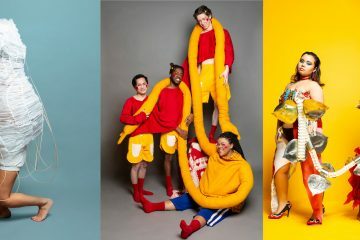 After all, what could be more epic and more Baltimore than bringing together Dan Deacon and the Baltimore Symphony Orchestra? Every show kicks off with a pre-concert party with live music, happy hour drink specials and food from our favorite Baltimore spots. MONO PRACTICE Baltimore is delighted to present Transom, works by Magnolia Laurie (Baltimore) and Alex Paik (New York City). Transom is the inception of Mono Practice’s new program where the focus is to bridge studio practices that move beyond geographical and studio constructs. Please join us for Transom’s opening reception on January 19, 2019 from 1-3pm. The exhibition will run through February 23. The gallery hours are Thursday 1-5pm, Saturday 1-4pm, and by appointment. 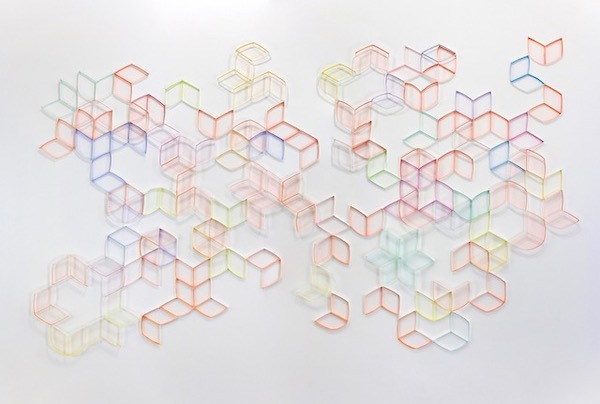 The geometry in his work not only relates to the architecture of contrapuntal music, but is also a way to give structure to the reflected color from my painted strips of paper – a way to provide an architectural scaffold from which color harmonies and the work’s final form are generated. The color relationships are the vehicle through which the geometry of each individual unit dissolves and recombines with the surrounding units and the rest of the piece. Alex Paik is a Brooklyn-based artist whose work has been shown at galleries and art fairs nationally and internationally. From 2015-18, he was Curator of Satellite Art Show, an alternative art fair in Miami. He is the founder and Director of Tiger Strikes Asteroid, a non-profit network of artist-run spaces and Chief Curator at Trestle Gallery, a non- profit arts organization in Sunset Park, Brooklyn. Magnolia’s work explores ideas of landscape, vantage point, the human instinct to build, and our complex relationship to land. Absent of any actual people, the drawings and paintings depict gestures of the built environment as both literal evidence and metaphor for human impact. The drawings in Again and Again embrace stratification and accumulation. Rocks stack in cairns and totems, becoming markers of a destination, human activity, or a point in time. They are made with a love for ink and paper and an exploration of how they relate to each other. They are an exercise of fearlessness, an attempt to make and accept each layer with grace. Magnolia Laurie was born in Massachusetts and raised in Puerto Rico. 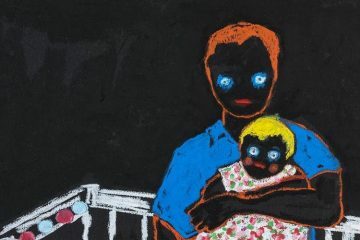 She received her BA in Critical Social Thought from Mount Holyoke College and her MFA from the Mount Royal School of Art at the Maryland Institute College of Art. 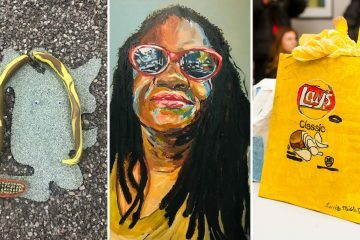 She has been awarded residencies from the Vermont Studio Center, the Virginia Center for the Creative Arts, the Creative Alliance in Baltimore, and the Jentel Foundation in Wyoming. Magnolia’s work has been supported with grants from the Creative Baltimore Fund, the Maryland State Arts Council Grants, the Belle Foundation and a Mid Atlantic Creative Fellowship. Magnolia lives in Baltimore, MD and is an Assistant Professor at Franklin & Marshall College in Lancaster, PA.
At the dawn of the 20th century, a multi-generational family in the Gullah community on the Sea Islands off of South Carolina — former West African slaves who adopted many of their ancestors’ Yoruba traditions — struggle to maintain their cultural heritage and folklore while contemplating a migration to the mainland, even further from their roots. Cohen Media Group is proud to present the 25th anniversary restoration of director Julie Dash’s landmark film Daughters of the Dust. The first wide release by a black female filmmaker, Daughters of the Dust was met with wild critical acclaim and rapturous audience response when it initially opened in 1991. Casting a long legacy, Daughters of the Dust still resonates today, most recently as a major in influence on Beyonce’s video album Lemonade. Restored (in conjunction with UCLA) for the first time with proper color grading overseen by cinematographer Arthur Jafa, audiences will finally see the film exactly as Julie Dash intended. The duality of women in this body of work project the spirit and its connection to the physical world, which reinforces the bond amongst women and how they co-exist in the physical and spiritual realms. The mask seen in the work is my interpretation of the Mende mask, specifically created for young girls being initiated into Sande. These masks are created as a reminder that human beings have a dual existence viewed as one body. JOIN DELITA MARTIN AND MYRTIS BEDOLLA FOR A POST-FILM DISCUSSION IN WHICH MARTIN WILL REFLECT ON THE FILM IN RELATION TO HER WORK. Delita Martin is an artist currently based in Huffman, Texas. 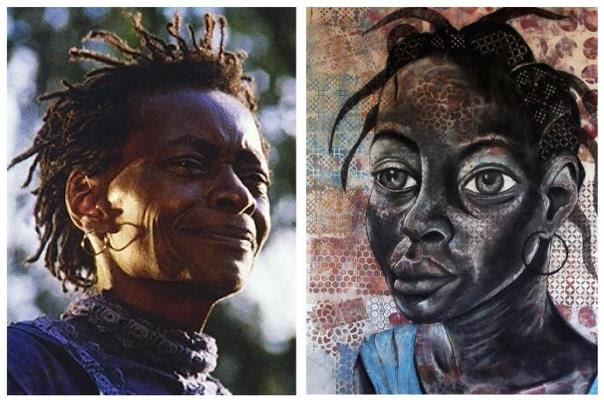 She received a BFA in drawing from Texas Southern University and an MFA in printmaking from Purdue University. 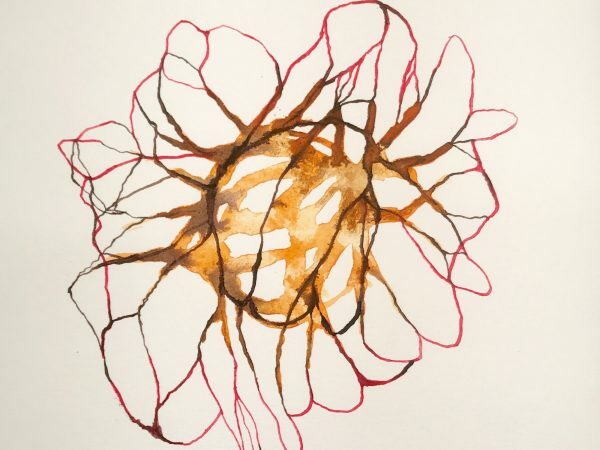 Formerly a member of the Fine Arts faculty at the University of Arkansas at Little Rock, Martin currently works as a full-time artist in her studio, Black Box Press. Working from oral traditions, vintage and family photographs as a source of inspiration, Martin’s work explores the power of the narrative impulse. Her process of layering various printmaking, drawing, sewing collaging and painting techniques allow her to create portrait that fuse the real and the fantastic. In her work, she combines signs and symbols to create visual language. By fusing this visual language with oral storytelling, she offers other identities and other narratives for women of color. 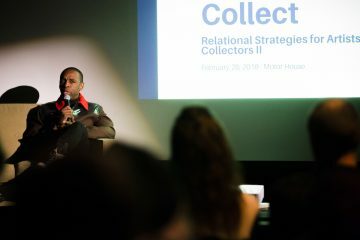 Myrtis Bedolla is the founding director of Galerie Myrtis, a contemporary fine art gallery and art advisory located in Baltimore, Maryland. In 2017, Galerie Myrtis was voted, Best Gallery by the Baltimore Sun. Bedolla possesses over 30 years of experience as an advisor to individual collectors, and public and private institutions in the acquisition and sale of fine art; and provides professional curatorial services, lectures and educational programming to corporate, civic and arts organizations. She holds a Bachelor of Science degree in Business Administration from the University of Maryland, University College, and received her curatorial training at the Maryland Institute College of Art in Baltimore, Maryland and earned an on-line certificate in Cultural Theory for Curators from the Node Center for Curatorial Studies, Berlin, Germany. More information about Between Spirits and Sisters can be found on Galerie Myrtis’ website HERE. 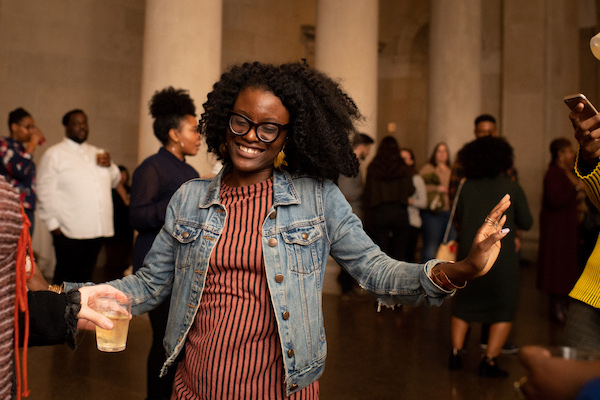 The latest event in the BMA’s late-night series celebrates one of former First Lady Michelle Obama’s favorite exhibitions, Mark Bradford: Tomorrow Is Another Day, on view in the BMA’s Contemporary Wing through March 3. Come dressed up or down, sip a signature cocktail, dance, and create an artwork to take home. Tickets include evening access to the galleries, entertainment, and a free food or drink item. Beer, wine, and light bites are available for purchase. This event is for adults age 21 and older. These shorts – created by and for Black femmes imagine the Black femme as a global protagonist and universal archetype. The Black Femme Supremacy Film Festival was created in 2018 to highlight the disparities Black female filmmakers face as well as shake up the notoriously elitist culture of film festivals. 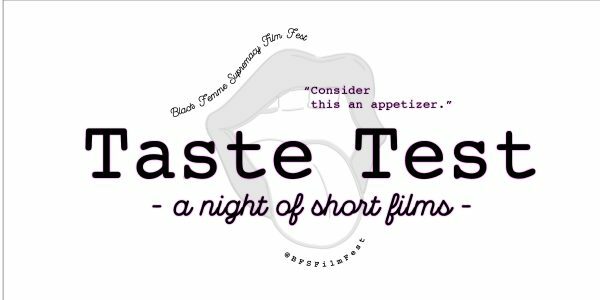 “Taste Test” is a night of short films centering the black femme as a global protagonist. The event also serves to inform the public of the opening of submissions to the 2019 Black Femme Supremacy Film Festival. Submissions will be handled through filmfreeway.com. Just enter https://filmfreeway.com/BlackFemmeSupremacyFilmFest into your web browser. Featuring selected short films from Cuba, Brazil, South Africa, Canada, and the United States the festival allows Black femme filmmakers the chance to create community amongst each and foster intercultural understanding through the medium of film in movie goers. Celebrate the life and legacy of Dr. Martin Luther King, Jr., one of the nation’s most important civil rights leaders. Enjoy presentations by the Baltimore Urban Debate League and a performance by the local music-driven art ensemble Afro House & The Astronaut Symphony. 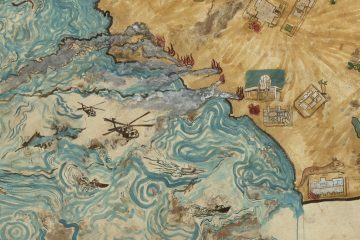 Take part in special art-making activities and a scavenger hunt. Commemorate the evening and stop by the free photo booth. Special guests also include the Walters Teen Arts Council, Synergy Baltimore, Enoch Pratt Free Library, the YMCA, and the Baltimore Algebra Project. The American Visionary Art Museum (AVAM) pays lively tribute to one of the world’s greatest visionaries, Dr. Martin Luther King, Jr. with its annual, all-ages welcome “MLK Dare to Dream Day Celebration” on MLK Monday, January 21, 2019, 10am-6pm, FREE, generously sponsored by Bank of America. The intergenerational community party honors the great Dr. King’s legacy and vision with FREE birthday cake, performances, film footage of his speeches, a hands-on art activity, complimentary museum admission, and more. Baltimore Leadership School for Young Women “Lethal Ladies,” the inspirational subject of Step, the award-winning documentary by Fox Searchlight Pictures, shares a step performance followed by Q&A. Chin-yer Wright is the director of the Maya Baraka Writers Institute, and is a multi-award winning poet, fiction writer, essayist, and creative writing teacher. She is also the author of the poetry book Black Fairy Tales, plus the two-time recipient of the prestigious New Voices prize. She founded and directs the “The Baltimore Scene” arts movement. DewMore Baltimore, Grand Slam Poetry Champions 2016 and 2018 of the largest international youth poetry slam festival, Brave New Voices. Keur Khaleyi African Dance & Drum, a multi-generational, family-oriented, traditionally-driven African dance company. Join the Baltimore Office of Promotion & The Arts as we celebrate the life of civil rights leader Dr. Martin Luther King, Jr. with a parade featuring community-based civic organizations, community and high school bands, colorful cheer and dance squads, military units, equestrian groups and decorative floats. The parade steps off at the intersection of Martin Luther King, Jr. Boulevard and Eutaw Street, proceeds south on Martin Luther King, Jr. Boulevard and disbands at Baltimore Street. Spectators are invited to view the parade from along the route or near the reviewing stand at Martin Luther King, Jr. Boulevard and Franklin Street. Voices of Carmen performance and discussion examining escalatingconflicts and violence among youth. 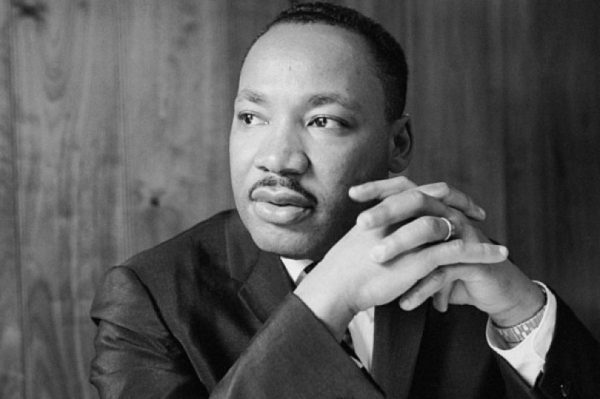 Help us honor Dr. Martin Luther King Jr.’s life long legacy of nonviolence. What is Voices of Carmen? Voices of Carmen is an urban musical adaption of an iconic opera set in a high school to contemporary rhythm and beats, and a creative vehicle for important conversations. Join Repair the World Baltimore and Black Yield Institute as we screen the BYI documentary, Baltimore’s Strange Fruit, at Creative Alliance. Following the film there will be a panel discussion with Eric Jackson, director of BYI, and others who worked on the film. There will also be a service project that will benefit BYI and Cherry Hill Urban Garden. Spaces are limited, register today! MON JAN 21 | 5:30PM | FREE!